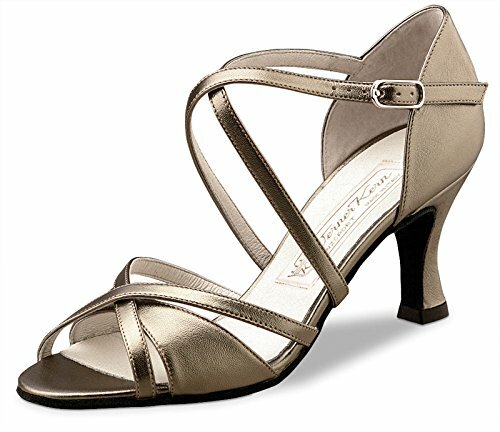 Timeless Werner Kern Model July dancing shoe with perfectly fitting and elegant triple-leaf division. The shoe has individually adjustable crossed instep and heel straps beneath the sole as well as at the heel, offering a perfect and extremely comfortable fit. Soft glove-quality exclusive Chevro Antik Leather that provides a wonderfully gentle and supple fit. that provides a particularly gentle and supple fit.